San Francisco, CA – Activists delivered over 122,000 petition signatures to BlackRock's San Francisco headquarters this morning, calling on the asset manager to divest from companies drilling for oil in the Amazon rainforest as a necessary first step towards divesting from all fossil fuels in order for the world to have fighting chance at escaping the most catastrophic effects of climate change. When the activists attempted to deliver the petition signatures, addressed to CEO Laurence Fink, directly to BlackRock officials in the San Francisco office, they were met outside by Barney Villa, a Vice President with the company, who refused to let them into the building. Mr. Villa did promise to deliver the signatures. "Don't worry – this isn't the last time we will demand that BlackRock divest from Amazon destruction," said Leila Salazar-López, Executive Director of Amazon Watch. "A healthy future for the planet lies not in short-term profits but in the protection of rights, the environment, and the climate, and in bold investments in renewable energy," continued Salazar-López. "It is high time that BlackRock, JPMorgan Chase, and other financial institutions put their money where their mouths are and stop bankrolling the road to climate chaos." Amazon Watch and CREDO Action began collecting the signatures after Amazon Watch released a report in November that detailed the extent of BlackRock's investments in three key oil and gas companies with oil drilling plans and/or operations in the Amazon rainforest. The report called out BlackRock's doublespeak on climate action corporate responsibility, demonstrating how the the company's reassuring words do not match up with its decision to invest in Amazon oil, which poses significant threats to the climate, the environment, and indigenous rights of its investments in Amazon oil, and poses financial risk to BlackRock's portfolios. "Companies that drill for oil in the Amazon wouldn't be able to continue operations without the backing of investment firms like BlackRock," said Josh Nelson, Deputy Political Director at CREDO Action. "BlackRock and any other financial institution that claims to care about protecting our planet and indigenous rights must immediately and fully divest from dirty and dangerous fossil fuel operations." Although BlackRock continues to tout climate action, for example in its recent request that companies in which it invests disclose climate risk, since the report's publication BlackRock has invested even more – billions of dollars more – in at least one of the companies contributing to the destruction of the Amazon rainforest, which is vital to combating climate change and home to dozens of indigenous nations. Amazon Watch's November report also highlighted JPMorgan Chase's investments in these same three companies, and the petition also calls on that company to divest from Amazon oil. JPMorgan is also a principal target of other advocacy groups calling for divestment from other climate change-causing fossil fuels. 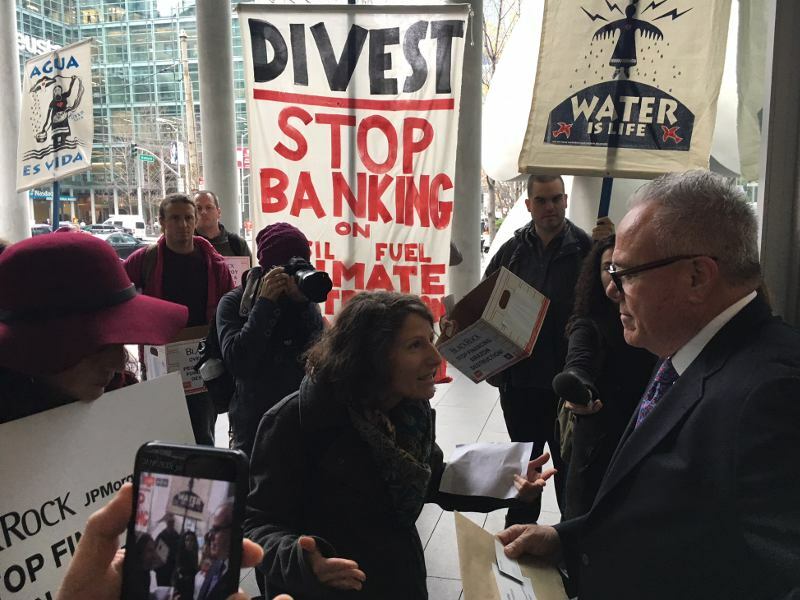 "JPMorgan Chase needs to stop making investments that commit all of us to decades more dependence on the destructive fossil fuel economy," said Tess Geyer, Climate and Energy Organizer at Rainforest Action Network. "As the top US funder of extreme fossil fuels, JPMorgan Chase is profiting off climate change and indigenous rights abuses. This needs to end immediately." "Financial institutions currently play a huge role in the climate crisis by financially supporting companies drilling for oil on or near indigenous territories in our most sacred ecosystem, the Amazon, without consent or consultation." said Isabella Zizi of Idle No More SF Bay. "We will continue to put pressure on financial institutions like BlackRock, JPMorgan Chase, and Wells Fargo until they pull away from fossil fuels and invest in renewable energy that will benefit all humanity on Mother Earth." Palm oil is in everything, and it’s killing our rainforests. You can help stop this by simply changing your weekly shop.